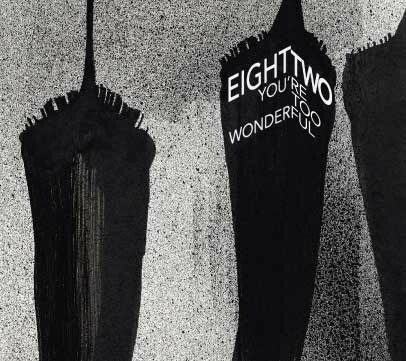 Welcome to “You're Too Wonderful” by Eight Two. This project was made with love, independently recorded, released and published. I am making all the songs available for you to hear, and posting the art that's part of the CD. It's a cool object, beautifully made and sustainably printed with sixteen panel fold-out and stickers all designed from the heart. For those who'd rather download it, this site gives you extras like a bonus track, album and track artwork, lyrics, videos, lost puppy posters, hidden stuff, credits, and thanks. You can listen for free, buy it on iTunes, play the lost puppy game for it, buy the beautiful object from Amazon, steal it from your friends or send me a post card and I'll send you one from Brooklyn with love, because you're too wonderful.